Highland Park is a city with in a city, entirely contained within the city of Dallas! It has its own mayor and its own school district. There are three main areas that make up the Park Cities: Highland Park, University Park, and Greenway Park. The most sought-after are University Park and Highland Park. The reason for this is the school system. Both of these communities go the Highland Parks schools, some of the most prestigious schools in the entire nation. Highland Park ISD is routinely ranked as one of the top 25 public schools in the nation. Highland Park offers various of homes. Condos range any where from the low 200s up into the millions. Single family homes start in the low 400s, with the majority of Highland Park homes for sale in and around 1 million dollars. And, there are lots of opportunities for redevelopment. The area is known for its parks, people, and shopping. 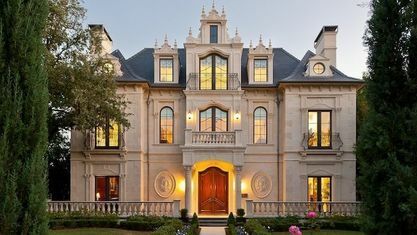 It is considered probably the most prestigious place to live in Dallas, home to some of Dallas' stewards and business elite. The Highland Park location is also ideal for individuals wanting to live in Dallas as it is located in the heart of the sprawling city. Anything you want is less than a 15 minute drive away!